Welcome to a mini-episode between episodes 40 and 41 of the Tea in the Treetops podcast hosted by Philippa and Angelya. This week is a special mini-sode hosted just by Angelya, as Philippa is away. 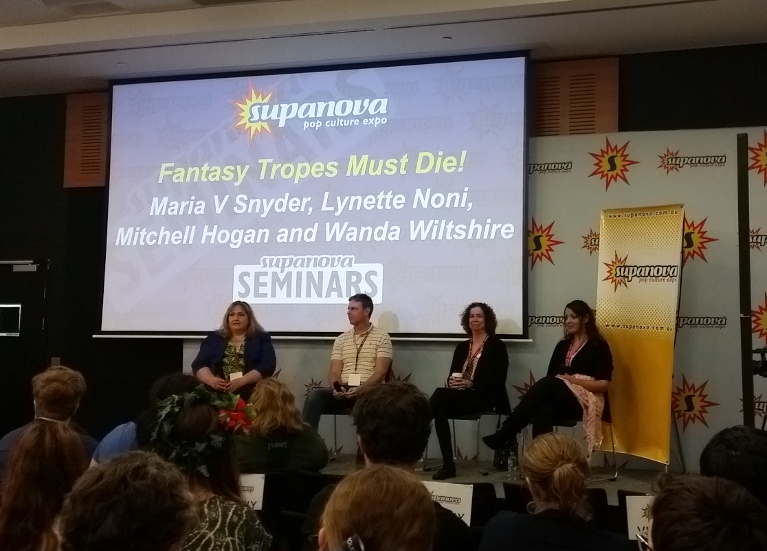 She talks about meeting Maria V Snyder as well as other authors at Supanova Gold Coast, and about what she has been reading. She also has a small not-very-ranty rant about the Shadowhunters Netflix series. Don’t forget to listen to Ep 41 for our Game of Thrones season 6 preview! This episode was recorded on 6 and 10 April 2016. If you enjoy listening to our podcast, please go and leave us a rating and/or a review on iTunes! We’d love to hear your feedback. Details for the Shadow Study giveaway will be coming shortly. Episode feedback… I am totally down for this shorter format! While I would listen to hours on end of your podcast, I’d rather have little mini ones more often than rarely getting ‘full’ ones. I’m sure it is challenging to find the time to do those long ones and all of the stuff that goes along with it. 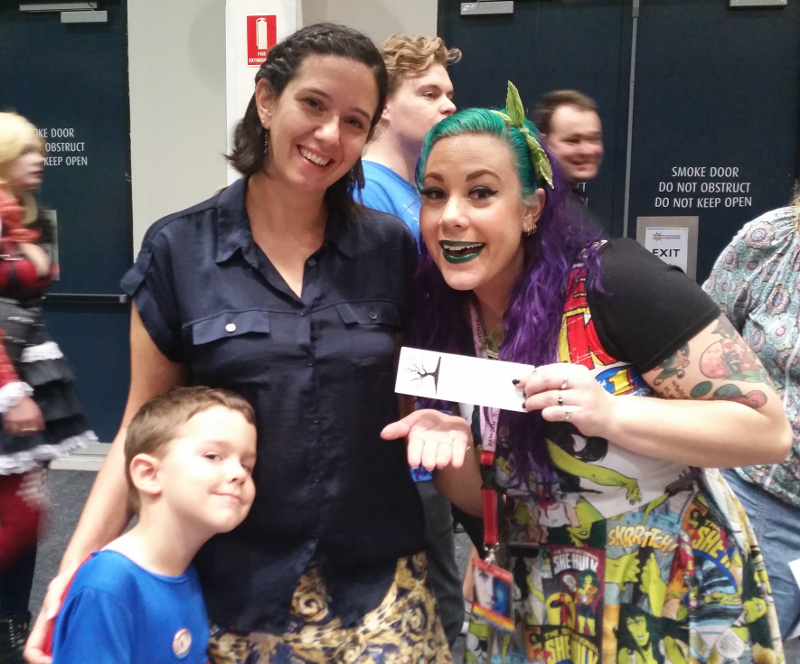 I think it is nice to have a little catch up about what you have read recently, what you loved and didn’t, and what you are reading currently and then any small snippets of book related updates and news like your experience at Supanova. Totally works for me, keep ’em coming! Ah, thanks Tracy! I’m glad you liked it 🙂 I’m hoping to put these together more often, yes… full episodes are getting a bit far between these days! Still working on your book club suggestion, by the way! I have a really simple book club suggestion… How about I just tell you about my favorite book series and then you read it so we can talk about it??!! 🙂 That’s all I really want out of life right now, haha. That’s kinda sorta not really a book club…but close!!! *’cause I’m sure your TBR list is super tiny.